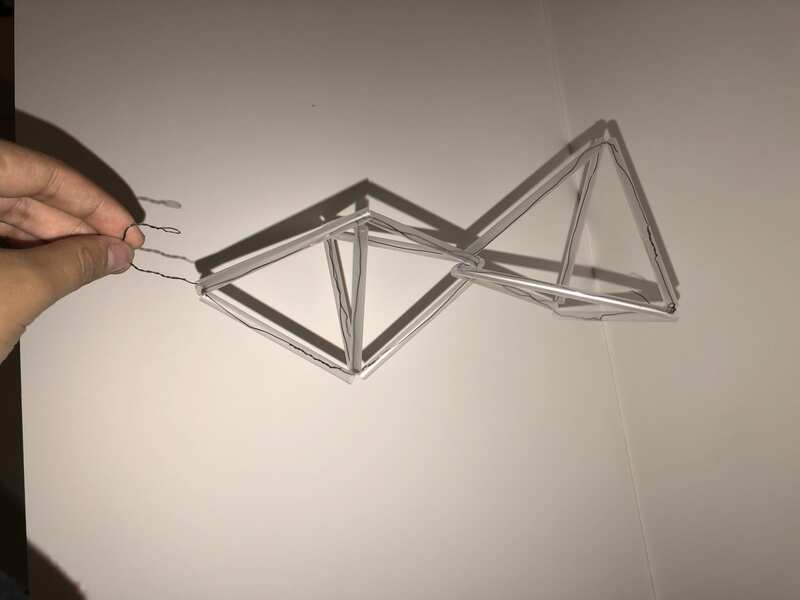 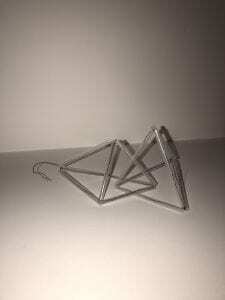 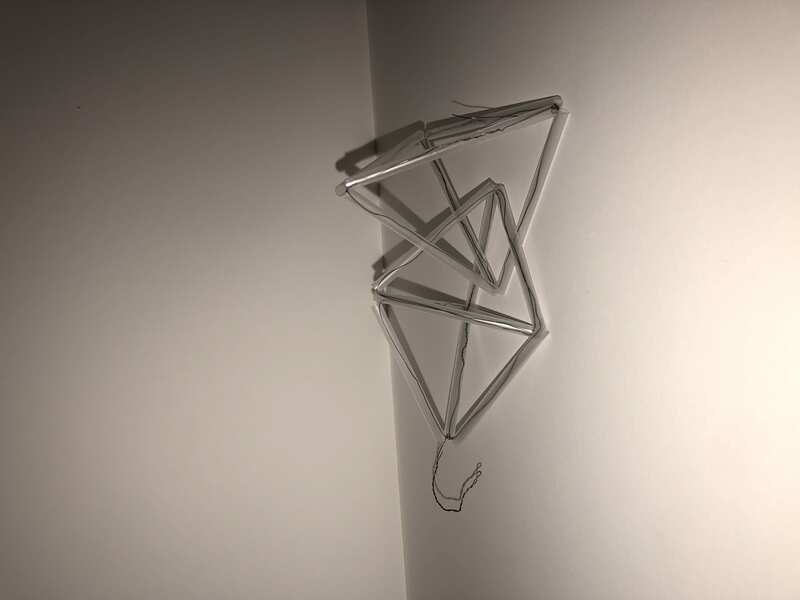 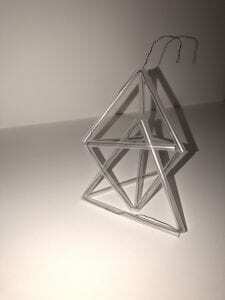 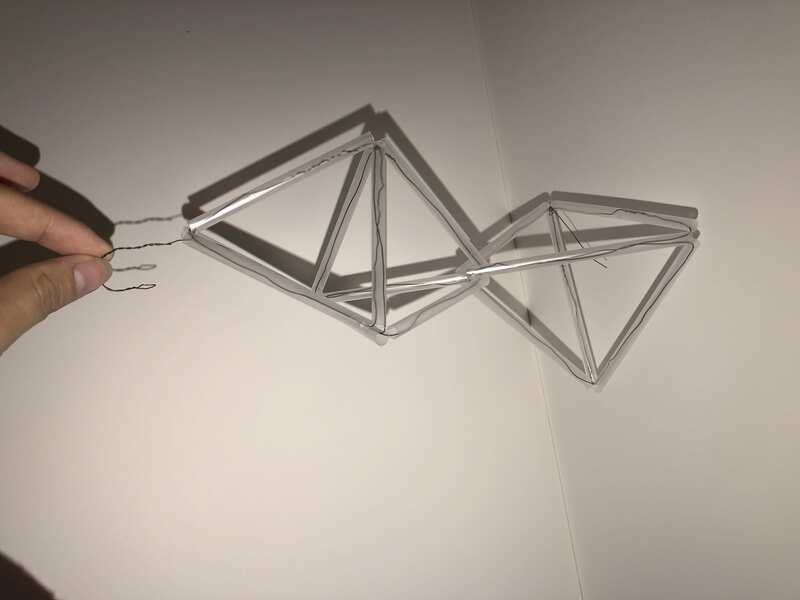 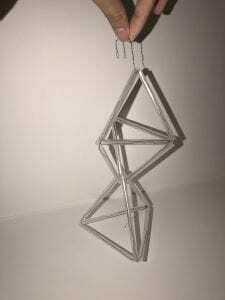 In this project, students were tasked with creating polyhedrons out of straws, wire, string etc. 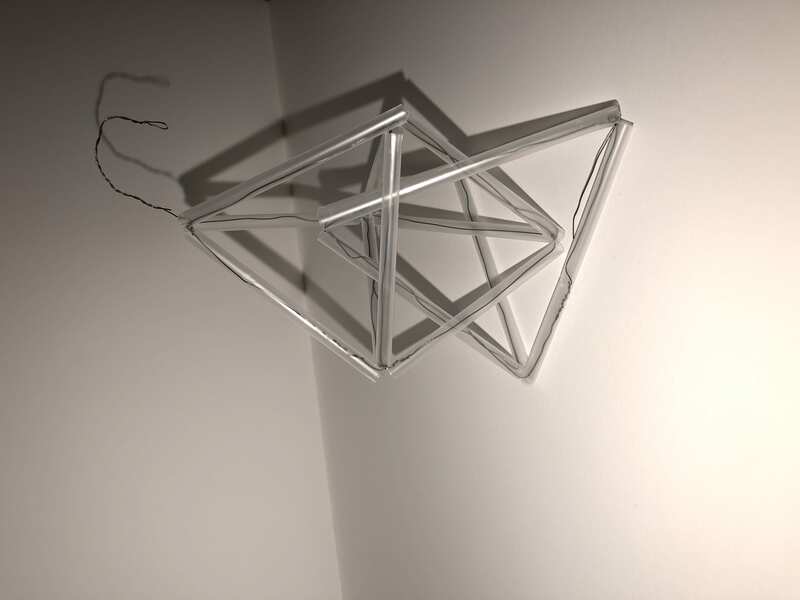 Students needed to pick out two different 3D shapes and attempted to combine them into one composition. 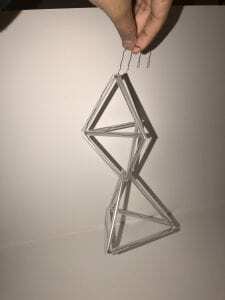 This project taught me just now much wire is better than string when it comes to creating solid forms. 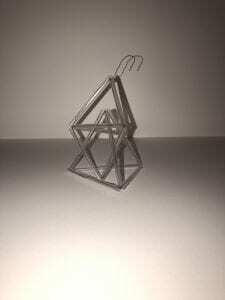 With the string, my shapes were not holding their form, but with wire, they were able to stand. 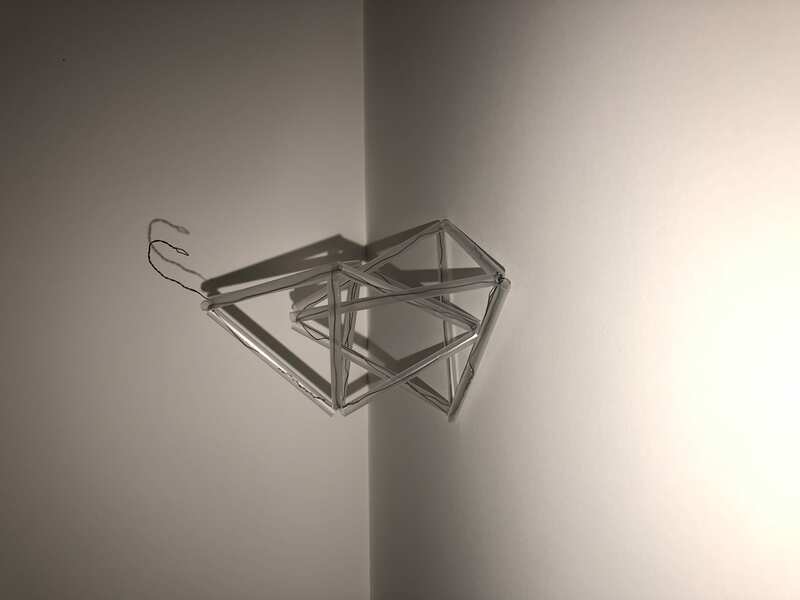 I didn’t want to create a basic composition, so by connecting them without a point of attachment, like a keychain, make the composition more organic.